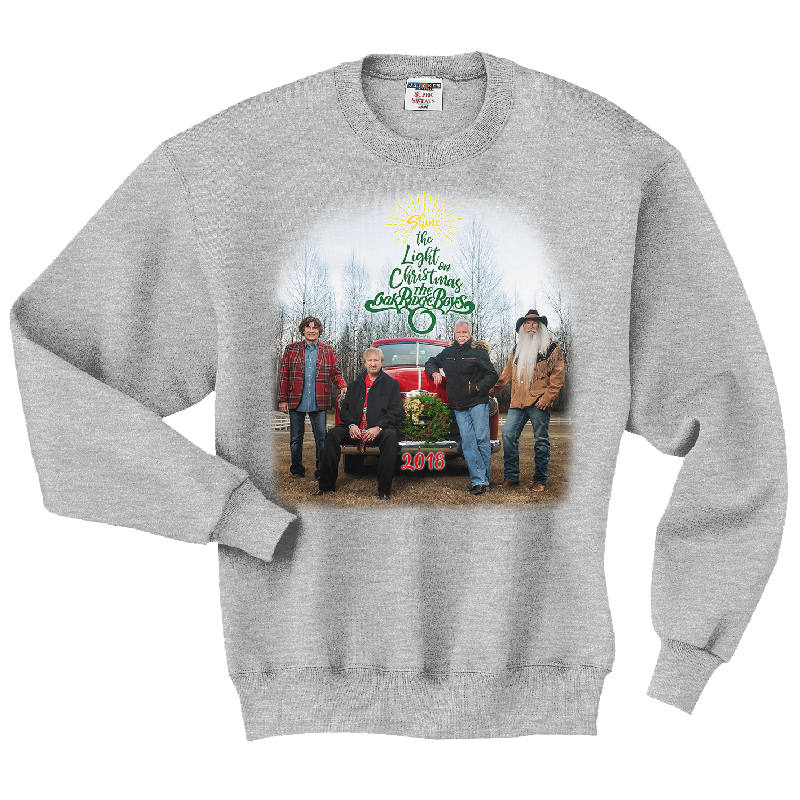 Bring on the Christmas spirit with this Oak Ridge Boys Christmas sweatshirt! 9.5 oz., pre-shrunk 50/50 cotton/polyester ash sweatshirt. 2018 Shine the Light on Christmas photo design.